Most IT bosses know all about budgets, but what about their customers’ budgets? Looking to the customer’s needs from a budget point of view is the philosophy behind How Far Can I Go? 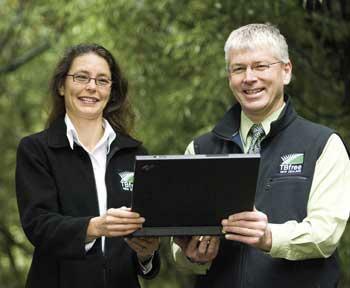 — the Air New Zealand website function that is a finalist in the 2008 Computerworld Excellence Awards category for Innovative use of IT. The other two finalists are Silverstripe’s open source content management system (CMS) and framework; and VectorNet, a TB control system from the Animal Health Board. When times are tough, you might just have to limit your travel spend to, say, $500, rather than have a pre-determined location in mind, explains Air New Zealand technology and innovation manager Dave McRobie. This can be a hit and miss affair if you look at the various options presented separately. How Far Can You Go? has re-thought this approach and, instead, presents all the options at once, using a “slider” application. How Far Can You Go? is capable of simultaneously looking at a large number of enquiries in a booking engine and finding all the fares relating to all the destinations that have been inquired about, says McRobie. To do this, fares are cached in an area which the application can access quickly using an Adobe Flash front-end. This means Air New Zealand now has a website that is both exploratory and an easy-to-use processing engine for booking fares. McRobie says there is one similar website function like it out there called Kayak, but the Air New Zealand website function is unique in its simplicity and the extra functions it provides. It is boosting both website use and ticket sales. One website user, Matthew Allen, an art director for Mata Design, says price is often a determining factor in deciding where to go. So, rather than offering a list of check-boxes, the airline’s website offers a much more attractive sliding scale instead, showing what options are available. Announcing whether Hillary Clinton or Barack Obama will be the US presidential candidate for the Democratic Party will be a task for software developed by Silverstripe. The Democratic National Congress operates one of more than 200 websites developed by the Wellington-based company. The company’s chief marketing officer, Sigurd Magnusson, says what makes Silverstripe’s CMS system and framework unique is the use of open source technologies like Apache web-server, MySQL and PHP. These allow for a more user-friendly way of developing websites by the company’s developers, and also provide a flexible platform to build upon later. Such websites can be easily updated by customer staff, and are also easy and cheap to install, he says. 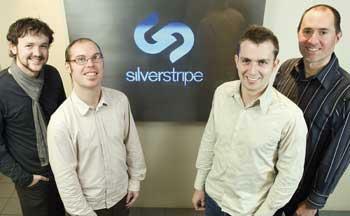 Over the past year, developments such as the Silverstripe CMS framework — which is available free — have helped more than double sales, with overseas sales equal to growing sales in New Zealand. Thousands of people download the free software, Magnusson says, but many later contact the company and become customers. Technically, being open source means the wider open source community will likely also test systems, and so help Silverstripe develop more stable and secure websites. The company’s staff also find open source and the work it brings exciting, which motivates them greatly, adds Magnusson. Conor Sligo, of Inform Insurance, says his company uses a heavily customised version of Silverstripe. Its open source nature means the system is always developing and so remains leading edge, he says. The third finalist is VectorNet, for the Animal Health Board. Essentially, VectorNet is a tool for designing, planning, contracting and managing all activities concerned with the bovine TB vector control programme. Alison Barrett, manager, business strategy and systems, for the AHB, says VectorNet, and its GIS-based information system, helps calculate the best places for possum control operations, and also how best the latter might be carried out. It also stores reports on other operations, allowing the development of best practices. Kevin Crews, the AHB’s technical designer and analyst, says TB and possum control is geography-based, and the geo-spatial software allows for the best allocation of resources and operations. Contractors can also use the system to find work, rather than the old Tenderlink website, he adds. One user, Campbell Leckie of Hawkes Bay Regional Council, says VectorNet benefits control operations by having all the data in one place. Being web-based, the information can be accessed from anywhere and can also be easily checked. This will result in cost savings, as well as consistency in the eradication programmes that operate across New Zealand, he says.